People & Permaculture is the first dedicated book on peoplecare that explores how to use permaculture to restore personal, social and planetary well-being. 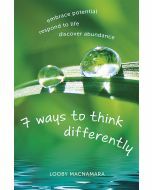 This is the first book to explore how to use permaculture design and principles for people. It widens the definition of permaculture and takes it right into the heart of our own lives, relationships and society. 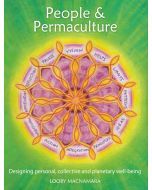 It provides a clear framework and guidance for both experienced permaculturists and people completely new to permaculture, and indeed for anyone who wishes to live a more creative, abundant life. Full of stories, interviews, personal anecdotes and practical exercises with tried and tested, step by step techniques. People & Permaculture is a pioneering guide to creating a positive and regenerative world.